When you graduate, your relationship with your alma mater is just the beginning. As you embark on a lifelong connection, you are invited to participate in alumni-specific events and benefits, networking and business opportunities, volunteer engagement programs, continuing education, travel and much more. Nominations are now open. Please email the Office of Alumni Relations with your nomination. Deadline is May 3, 2019. For questions, please contact the Office of Alumni Relations at [email protected] or by phone at 609-896-5340. Return to campus at any time to see what's changed and reminisce about your time on campus. In the spring, make a plan to connect with your friends at Rider or Westminster reunions; these annual gatherings are fun, affordable and give you the chance to see the faces and places you miss. Membership to the Student Recreation Center includes the Schimek Family Fitness Center, group exercise classes elevated indoor track, game room, locker room amenities and access to the Coppola Pool in the Maurer Center for a monthly fee of $33. The monthly membership fee for the pool is only $17. For additional information and hours please contact the Student Recreation Center Office at 609-896-5059. Host an event in your city, join an existing regional or affinity club or create your own, volunteer to talk with students about your professional experience, join an existing board or council–learn more about the numerous engagement opportunities available in your area. As a member of BOLD, Broncs of the Last Decade, you will find special opportunities to stay connected and engaged with Rider. You play a vital role in the success, growth and future of University. Connect electronically via our vibrant and exclusive LinkedIn University, learn about other successful fellow alumni on our Outcomes website, and be sure to make plans to connect with friends at reunions and events, including our Career Fairs, sporting events, alumni and student networking get-togethers, panels and many other chances to see old friends and make new ones. Take advantage of Rider's Office of Career Development individual career training, job search and research tools, mock interview training sessions and other career-related assistance. You can also connect with current students to provide mentorship and guidance in your area of professional expertise. Let Rider help you get to the next step in your career. Continue your education by auditing an undergraduate course during any semester through the College of Continuing Studies. You can also expand your mind by checking out books at the Moore Library using your Alumni Card. Gifts in any size make a difference in the lives of our students. 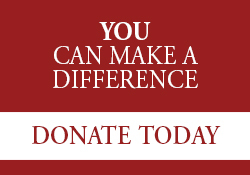 Consider making a gift to support our commitment to high quality education student centered learning, positive outcomes and affordability. Being part of the alumni community gives you access to numerous discounts and programs that help you save money and attract customers to your business. 20% discount on merchandise purchased at the University bookstore along with coupons and your Alumni card.